I was immediately drawn to the sad guy eating a ketchup sandwich. Yuck, I thought. Why is he eating a ketchup sandwich? So I read the copy on the left. Isn’t that hilarious, creative and effective? The message that a virus could ruin you financially is really communicated. If there hadn’t been a funny pic, I wouldn’t have read the copy in the first place. 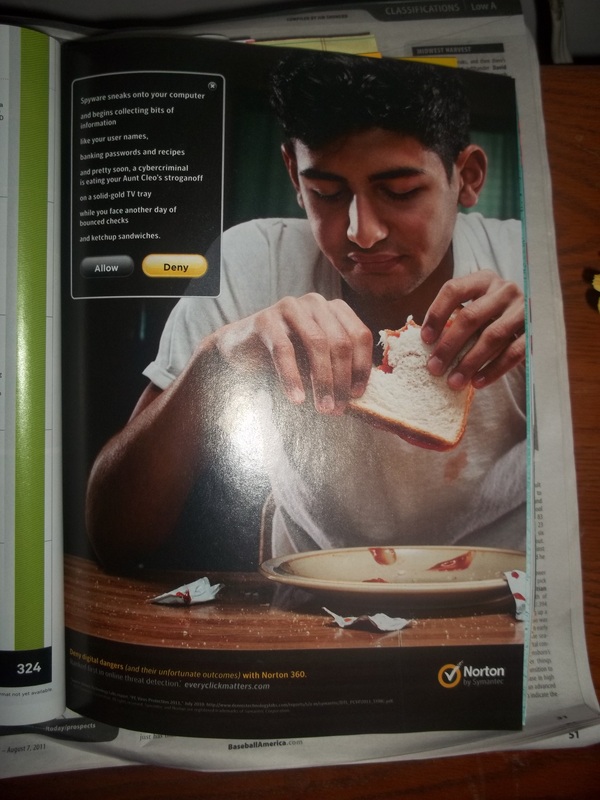 So go Norton for creating this great ad! 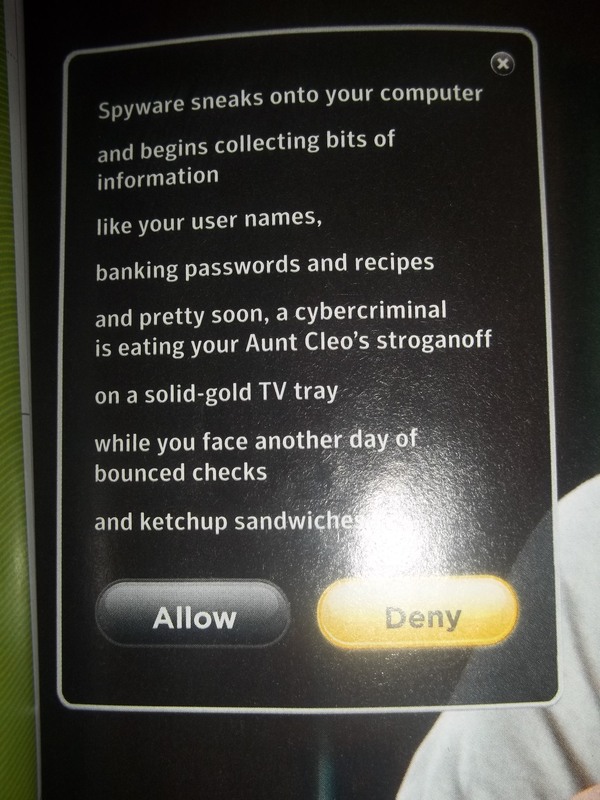 By the way, it was in Wired magazine.